Kindles have long been a choice e-reader for anyone who likes to read, and the kids version brought all its finer features to a child-friendly package. And today, you can grab an 8th-generation Kindle for Kids bundle for $60 on Amazon, complete with a protective cover, down significantly from the $100 that it usually sells for and its all-time low. The Kindle for Kids bundle helps children read without from other tablet distractions. It’s backlight-free, so kids won’t be able to use it past their bedtimes, and features several tools, like Word Wise and Vocabulary Builder, to help enhance reading skills. 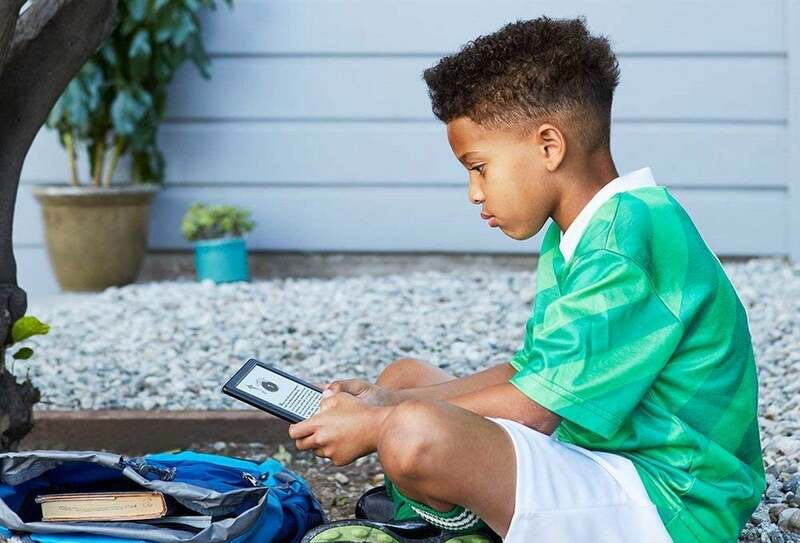 In addition, you’ll be able to use Amazon’s Kindle FreeTime service to set goals and track progress toward them, so your kids can keep improving. And if you’re an Amazon Prime member, you’ll also get included access to more than 1,000 titles. On top of all this, a two-year warranty means that even if it gets damaged in the rough and tumble of family life, you’ll be able to keep your kid reading. We haven’t tried this exact bundle ourselves, but we love Kindles, and it seems to be well-liked on Amazon, averaging 3.9 stars out of 5 across nearly 300 user reviews. At such a low price—with that included case, and without lockscreen Special Offers ads—it’s hard to pass up.